Marine Fighter Attack Squadron 121 F-35B Lightning II Joint Strike Fighter prepares to make a vertical landing aboard Marine Corps Air Station Yuma, Ariz., March 21, 2013. 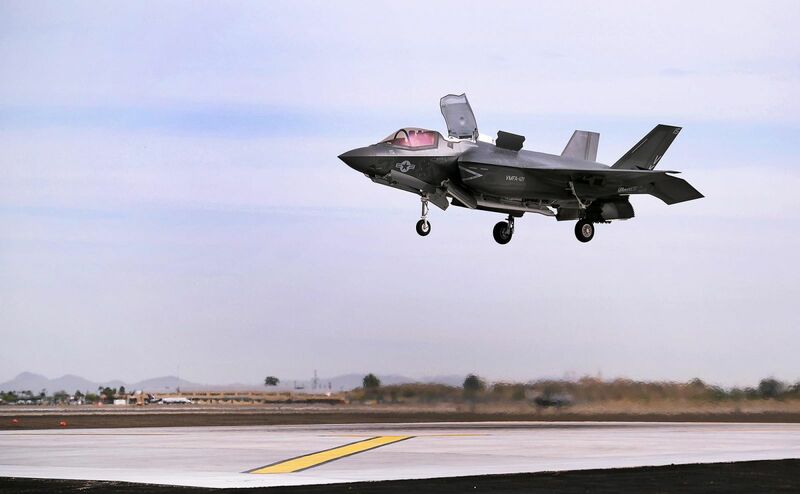 This marks the first vertical landing of a Marine Corps F-35B outside of a testing environment. Photo by Cpl Ken Kalamkarian.